Explore the testimonials of Manhattan and Bronx, New York drivers. 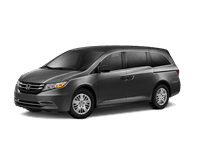 Learn about the wonderful experiences our we have cultivated here at Bronx Honda. 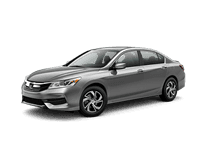 The professionals at Bronx Honda are happy to help you secure affordable cars, trucks, and SUVs near Manhattan, New York. We believe that through friendly, honest interactions, we can ensure not only a sale but overall happiness. We encourage potential car buyers to contact us about their desires for sales and services in Bronx, New York. Stop by and take a stroll through our showroom, which offers a grand selection of new Honda vehicles like the Accord and Clarity Plug-in. Or book service online and get the oil change you need. We're here for you! 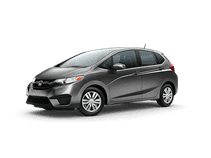 I've bought three cars at Bronx Honda from Ivan and had excellent experiences all three times. Ivan is very patient with you and gives you time to think about all your options if you need to. Excellent customer service. I'd come back here for my next Honda. 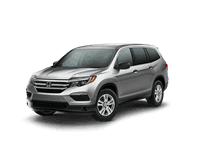 I just left Bronx Honda with a CR-V and I had a great experience. I recommend asking for Kevin or Alex, they are very knowledgeable and helpful. Ivan will help you understand how to work all the digital stuff in the car - he even helped be link up my phone to the car. The showroom is clean and inviting, the customer service is very professional, and they have a great system for handling all the paperwork and signatures. And I love my new car! My husband and I bought a new car today from this dealer. I want to thank Steven Febre for all his help and patience. He is an excellent salesman, took his time to explain everything to us in detail. I also thank Anthony for giving us good financing offers. The truth is that we are very satisfied and happy. I recommend 100% this dealer. I came to Bronx Honda and met the sales guy by name , Steven Fabre. He did amazingly well. I got the car of my Choice. He helped with the insurance. I’ll definitely recommend him to anyone one looking to buy a car. I’m really impressed with him. More blessings for you Steven. Juan was an excellent sales rep. He showed compassion and was very patient with me during the whole process. I was ready to walk out and he was able to make me and my family very happy before we left the dealership. We appreciate his consistency and his dedication to making a customers dream come true. 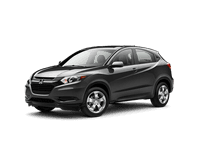 JI left Bronx Honda with a CR-V and Im pleased with the service. I recommend asking for Ramon he is very knowledgeable and helpful. If language is the problem he speaks English/Spanish. The showroom and presentation of the cars is very presentable. I would recommend a friend, family here to this location. I bought a used car from Bronx Honda. My salesperson, Mike Hinton, made the difference. The market for used cars is large enough that most dealerships will offer a fair price. Bronx Honda was no different in that regard. What stood out to me was Mike's approach. He's friendly, a patient listener, and he knows how to make sure the customer gets what s/he needs, even if we don't always know how to express that clearly. Kudos to Mike and the team for making me a happy Bronx Honda customer. Honestly I wish I could of give more then 5 stars , Richard Paulino went above and beyond to help me get my dream car. Throughout the whole process he was extremely helpful and had an abundance of knowledge on the car I was purchasing. He took his time to explain each and every feature. I am more then happy I purchased my car from Bronx Honda. Richard made the experience of purchasing my first car so smooth and easy. I walked into Bronx Honda with no intentions of leaving with a car. Nanci Edmondson took care of me and sold me a car I fell in love with. She was such a pleasure to work with. Every worker in this dealer was actually great, so friendly! 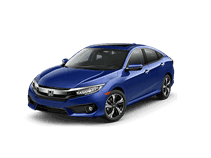 Just got my honda civic 2019 and Richard has been so great he is really the guy! When you come here make sure you go to Rich. He’s very determined and is not lazy gives you your test drive and make sure everything is efficient before purchasing anything. Great service! Thanks Rich!